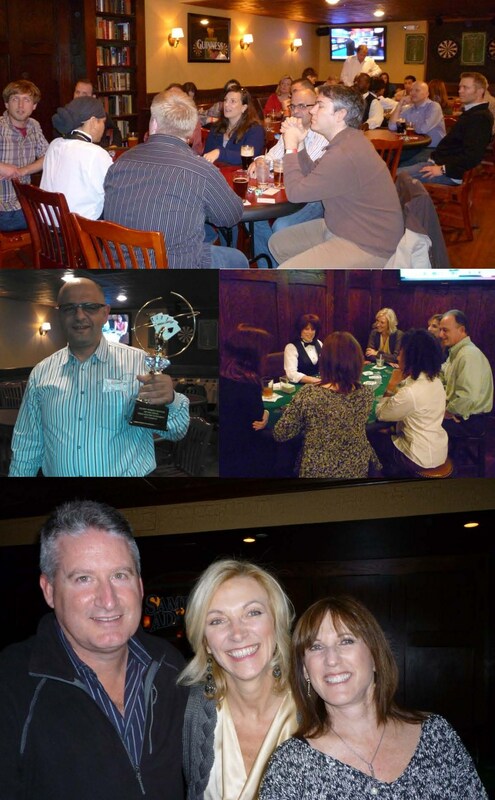 On Saturday, Calvary board members, donors, and other friends gathered at the Laughing Man Tavern in DC for the 2nd Annual Texas Hold ‘Em Poker Tournament for Calvary. This fun event raised thousands to support Calvary’s programs. The event was hosted by Wasfi Alnabki, Stacey Jacobs, Dani Mackey and Joanna Mason of Calvary’s Board of Directors. Guests enjoyed food and drinks provided by the Tavern, and could choose to play either Texas Hold ‘Em or blackjack. The Texas Hold ‘Em Tournament competitors sat down at the tables and got dealt in to a heated competition and some very lively hands of poker. When all was said and done, competitor Sam Dib came out on top and received a trophy to commemorate his victory. Thanks to our hosts, our friends at the Laughing Man Tavern, and of course our poker and blackjack players who supported Calvary over the weekend. If you couldn’t join us for the event, I hope you enjoy some of these fun event photos!